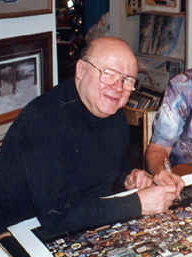 John Tigges (May 16, 1932 – October 29, 2008) was an American author of non-fiction and horror. He wrote 16 occult horror novels for Leisure Books between 1982 and 1994, making him one of the primary producers of horror fiction for that company during the horror boom years. The majority of his novels dealt with Satanism, possession, and devil worshipers plotting nefarious deeds. All of his novels were firmly in the realm of supernatural pulp horror. John Tigges novels have been a guilty pleasure of mine since the 1980s. They vary in quality, but I have never put one down unfinished. A quick personal reminisce: in the early 1990s, I got tangled up with a girl who was from northeastern Iowa. She was leaving Colorado to head home, so I decided to move with her. I was transported into a world of culture very different from my own, to a place where I knew no one and it took me a long time to find people to whom I could relate. During those cold lonely days, I turned to books as a way to check out and fly for a while — books have never turned their backs on me in any respect. Anyway, I digress — I recall going to the grocery store in this little Iowa town. While my girlfriend chatted up high school pals who’d never left the area, I browsed the paperbacks. John Tigges’ latest novel Monster was there on the shelves with a Local Author sticker on the front. I was thrilled. Of course I bought the book, devoured it, and I’m pretty sure that’s where my obsession with his books began. About five years ago I began a search for John Tigges. Wikipedia had no entry for him at the time. A bit of digging turned up an obituary for him. If it was for the same man, he had died in 2008. Several non-fiction books had been written by John Tigges in recent years, so I called the publisher and asked to speak to the editor. I introduced myself and described my mission. “Oh no. Definitely not. He’s never mentioned anything like that. He was a nice elderly gentleman; I seriously doubt he wrote any horror novels.” He remained skeptical as I pressed the issue. He mentioned John’s wife Kathy would know. He said he would. I never got a call. I dug deeper. I compared Library of Congress copyright records for the non-fiction books to copyright records for the novels. The author’s birth dates and the middle initials matched on all of them. Further, the obit said he was survived by his wife Kathryn. Many of the dedications in the novels were to Kathryn. The man who wrote the non-fiction books was from Dubuque, Iowa, and I recalled that Local Author sticker on Monster. I didn’t feel I needed much more corroboration. Since then, an article in the Encyclopedia Dubuque has cited him as the author of many books, some of them non-fiction, some of them horror novels, some of them erroneously attributed. Here’s what I know. 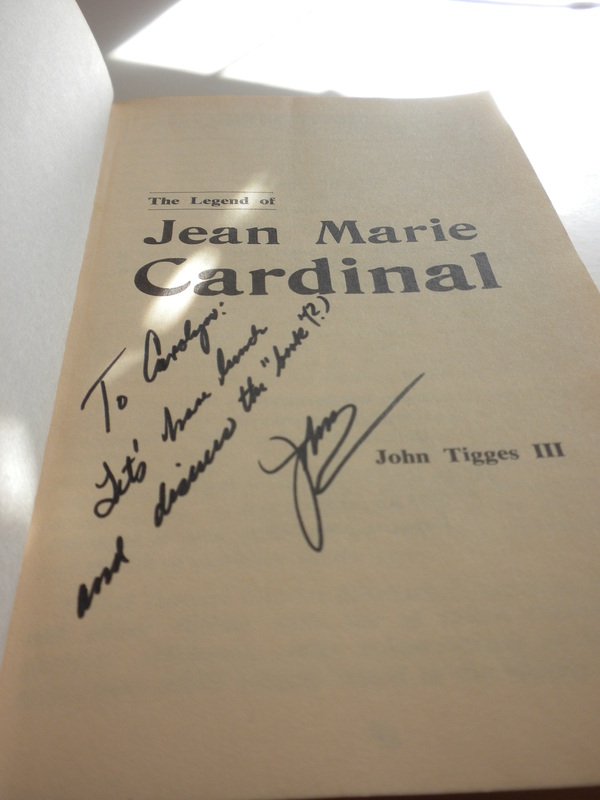 John Tigges’ first book was a historical novel based on a true story, The Legend of Jean Marie Cardinal, published in 1976 by a small independent publisher. I found a copy on Amazon, pictured here, inscribed by Mr. Tigges. His first novel for Leisure Books was Garden of the Incubus published in 1982. His next few novels for Leisure Books followed a similar theme, with several of the books tied together by common events — Garden of the Incubus, Unto the Altar, and Kiss Not the Child. Monster appears to have been his last published horror novel, released in 1994. He wrote a book of short stories called Nighttales based on screenplays by Kevin Browne, three novels under the pen name of William Essex from 1987-1989, The Pack, Slime, and From Below, and two western novels as Ned Stone for a Leisure series called Breed. He also wrote numerous Iowa history books. More about his life can be learned from this obituary posted on the Dubuque County, Iowa genealogy website. 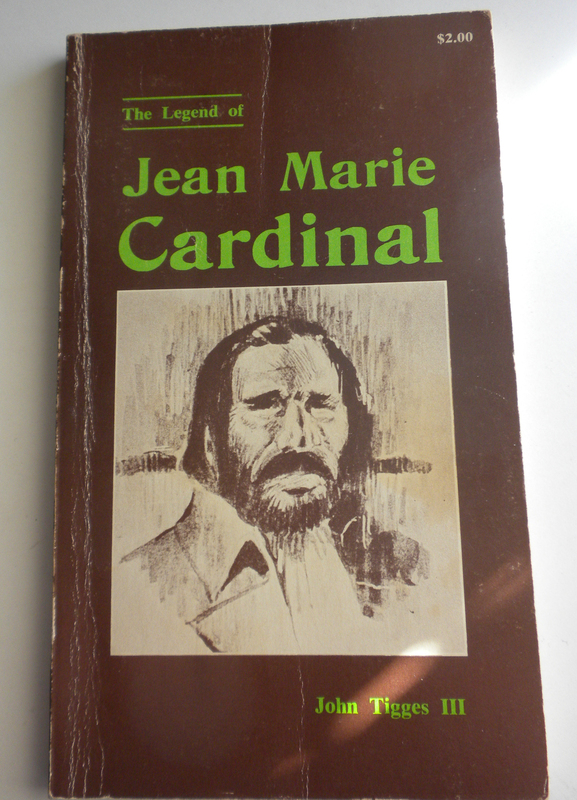 Sadly, the obituary omits his accomplishments as an author of the novels celebrated here. I was invited by John in the 1990’s to join his writer’s group. I drove from WI to Dubuque, IA once a month to spend all day Saturday working with John. I made the trip monthly for 5 years. John could be complicated and difficult to deal with although as a writer, I learned much from him. Thanks for stopping in Jo Ann. I have tried without success to reach family members so I could learn more about him. Alas, no luck at all so far. For such a prolific writer who seems to have done well in the 1980s and ’90s, there is precious little about him online.